The modernisation of infrastructures, production line and internal operations of a pioneer plant in the production of organic milk and derivatives improved the business’ competitiveness and created new opportunities for the local organic production. 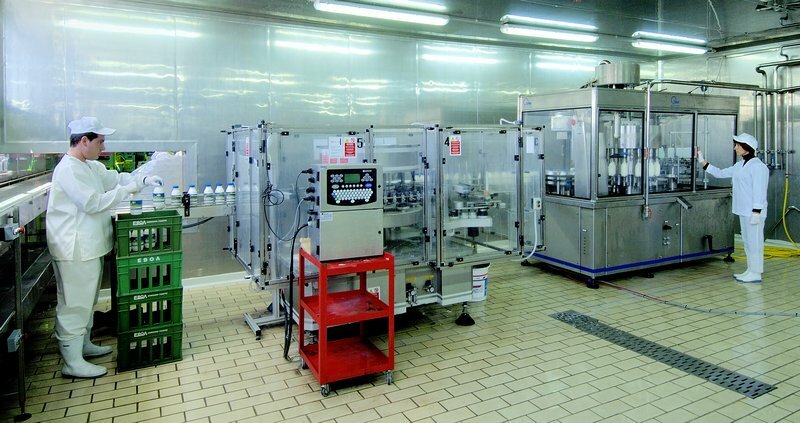 In the milk and dairy products processing plant owned by the Association of Agricultural Cooperatives of Volos, the same premises and technical equipment for pasteurising, storing and bottling milk were used for the production of both organic and conventional products. It was thus necessary to separate the reception, processing, storage and handling of conventional and organic products for the plant to comply with the rules as well as hygiene and food safety standards. The main objectives of the project were to: 1) improve the cooperative’s viability; 2) increase the production capacity; 3) improve the organic production by creating a specific production line; 4) ensure the respect of food safety standards by renovating the conventional production line; 5) increase the range of products offered to customers. As a general objective the project aimed to create new opportunities for the local job market and contrast depopulation of the local area. The main activities of the project included: i) the construction of new buildings (1 700 m2), housing the new complex for reception, storage, pasteurisation and bottling of organic milk; ii) the installation of a new complex for deodorization, pasteurization and homogenization of conventional cow’s milk (10 000 l/h); iii) the supply of indoor air-conditioning, chemical cleaning-in-place (CIP) and other equipment; iv) a reverse osmosis system converting brackish wastewater to potable water. Thanks to the project the cooperative can absorb the local milk production (cow and goat) and strengthen the local supply-chain, offering higher quality products to consumers and improving local population’ welfare. The project is a positive response to the competitive economic environment of the contemporary market to ensure the cooperative’s viability. It also helps retaining population in the area and encouraging young people to get involved in farming and particularly in organic farming. Through maximising the utilisation of local raw material to create quality products - with emphasis on organic ones – and the modernisation of facilities, equipment and production control systems, the plant increases the added value of the products and enhances the company's competitiveness. The challenge of the cooperative was channelling the production of organic goat milk and this was overcome by the production of organic yogurt from goat milk.